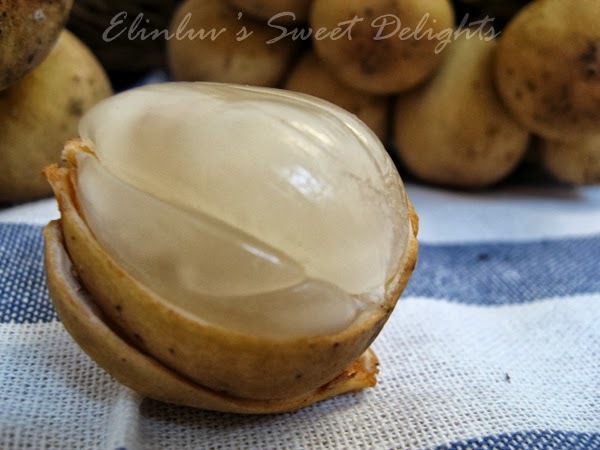 Dukong Langsat as it is called in Malaysia , is an exotic , seasonal fruit originated from South East Asia. A cross between duku and longkong, thus given the name Dukong or sometimes refers to as dokong :) Before I had my operation done, I ate a lot of this seasonal fruit...it was durian and langsat season and WB bought a few kilos for me... LOL. It is sweet and juicy and very addictive. I can eat a kilo at one sitting :) this is one of my favourite local fruit . 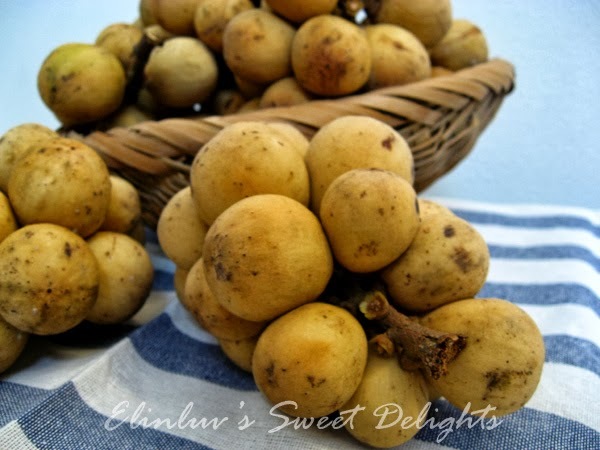 Contains Vit A, B1 and B2 and has antioxidant properties.. mmm I just discover that the scientific name for this fruit is Lansium Domesticum and has an English name - Lanzones. Indonesia, Malaysia, Philippines and Thailand are the largest producers of this fruit. Jusr bght fr kt yesterday rm5 for 2kg . So cheap. Kl rm6/7/8 per kg .